Frank Kimbrough counts among a handful of New York-based pianists who have been re ning and expanding the language of ensemble playing over the last few decades (this November he marks 35 years in New York and his sixtieth birthday). Declared a “a near-visionary whose piano-improvising, composing, and band-leading skills seek out the dark corners of untrod jazz terrain” by The New Yorker, Kimbrough is noted for his exquisite ensemble, trio and solo recordings as well as his duo work with Lee Konitz, Scott Robinson, Joe Locke and Paul Bley, his work as a sideman in Dewey Redman’s quartet, and his long-term involvement with the Jazz Composers Collective and the Maria Schneider Orchestra. On Solstice, acclaimed players and longtime musical companions, bassist Jay Anderson and drummer Jeff Hirsh eld join Frank to explore the music of some of the jazz masters who have left a personal imprint on his life. Pianist/composer Frank Kimbrough has been active on the New York jazz scene for 35 years. He has recorded as a leader for Pirouet, Newvelle, Palmetto, OmniTone, Soul Note, Igmod, and Mapleshade. Frank was a founding member and composer-in-residence of the Jazz Composers Collective (1992 - 2005), and played in nearly twenty of its associated groups. He continues to perform solo concerts and with his trio, and is otherwise in demand as a sideman. Frank’s playing has been recognized by his inclusion in the Downbeat Critics Poll each year since 2001, and his recordings are often included in jazz critics' year's-end top-ten lists. 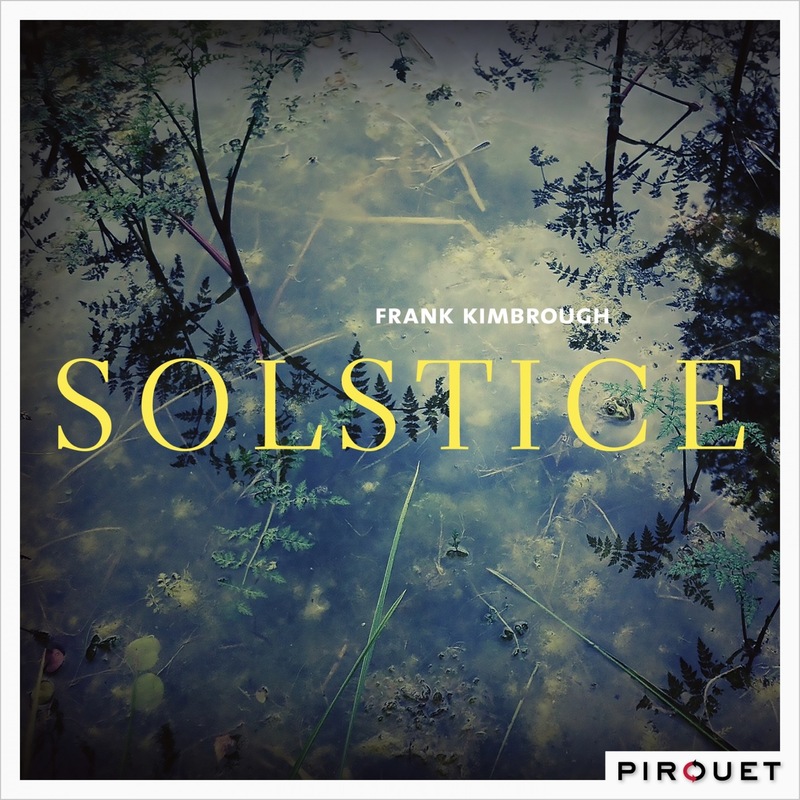 In November 2016, Solstice, Frank's debut on the Pirouet label will be released. It features his trio with bassist Jay Anderson and drummer Jeff Hirshfield, with compositions by Annette Peacock, Paul Motian, Andrew Hill, George Gershwin, Maryanne de Prophetis, Maria Schneider, Carla Bley, and one new original. In February 2016, Frank's first LP, Meantime was released by the Newvelle label. Newvelle is a new, audiophile LP-only label based in France, and is the brainchild of pianist/composer/producer Elan Mehler, who was a student of Kimbrough's in the late '90's. Frank is honored to have this recording released as the first of Newvelle's projects. It features a program of Kimbrough originals and tunes by Kurt Weill, Andrew Hill, and Harold Arlen. Frank is joined here by tenor saxophonist Andrew Zimmerman, trumpeter Riley Mulherker, bassist Chris Van Voorst Van Beest, and drummer R.J. Miller. 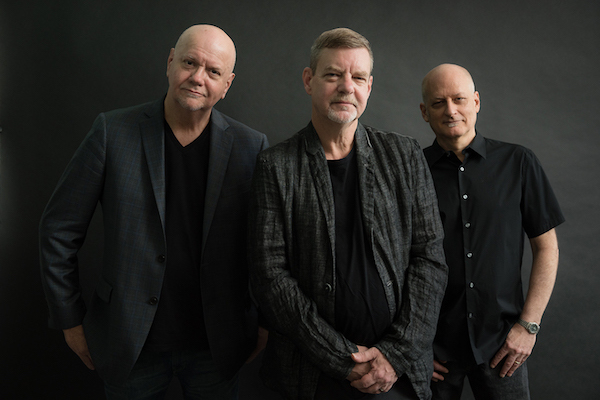 QUARTET, Frank's latest CD on the Palmetto label, features Steve Wilson on alto and soprano saxophones, Jay Anderson on bass, and Lewis Nash on drums. 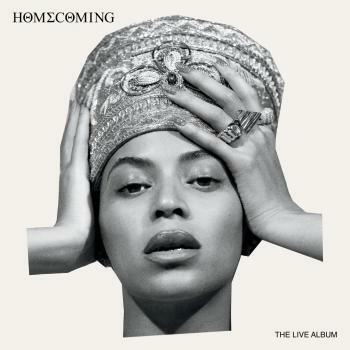 It includes seven of Kimbrough's original tunes, with Kurt Weill's "Trouble Man", John Lewis' "Afternoon in Paris", and the Rodgers and Hart standard "it Never Entered My Mind" rounding out the program. Other trio recordings include Live at Kitano, with bassist Jay Anderson and drummer Matt Wilson, Rumors, with bassist Masa Kamaguchi and drummer Jeff Hirshfield, Play, with Masa Kamaguchi and Paul Motian, Lullabluebye, with bassist Ben Allison and drummer Matt Wilson, and Chant, with Ben Allison and Jeff Ballard. Kimbrough's debut solo piano recording, Air, features Frank's original compositions alongside tunes by Paul Motian, Thelonious Monk, and Duke Ellington. In a recent review in The New York Times, Nate Chinen says "fittingly, rewardingly, it's a mature and personal reflection. He approaches each theme with generosity and composure. His readings of Monk's "Coming On The Hudson" and "Jackie-ing", both resplendent in tensions, hint at an elusive mastery." His 2007 solo concert at New York's Rubin Museum of Art was named among the best performances of the year by All About Jazz New York, and Air one of the top 10 Jazz CDs of 2008 by Slate Magazine. Growing up in Roxboro, NC in a musical family, Kimbrough has been playing piano since before he can remember and received influential piano instruction from an early age. His foundation in classical music studies grounded him in strong technique and profoundly influenced his open musical tastes. After leaving college, he formed his first trio and set out in pursuit of real world musical opportunities, first in Chapel Hill, and then in Washington, D.C. In Washington he met Shirley Horn, who became an enthusiastic supporter and mentor. He worked there with his trio and as a sideman with Maurice Robertson, Buck Hill, Paul Horn, Anthony Braxton and Webster Young. Arriving in New York in the fall of 1981, he sought out pianists Paul Bley and Andrew Hill, both unique artists who helped him hone his artistic identity. In 1985, he won the Great American Jazz Piano Competition at the Jacksonville Jazz Festival. The next year, on Shirley Horn's recommendation, he made his first recordings and since then has recorded twenty albums as a leader or co-leader. Kimbrough’s involvement in the Jazz Composers Collective, with its 11-year-long concert series, diverse recording projects and frequent touring, fostered several of Kimbrough’s groups and yielded two concert recordings: Quickening, with bassist Ben Allison and drummer Jeff Ballard, and Noumena, his group with saxophonist Scott Robinson, guitarist Ben Monder and drummer Tony Moreno. Support for Kimbrough’s work as a composer has come from Meet the Composer, The Mary Flagler Cary Trust, and Chamber Music America’s Doris Duke Jazz Ensembles Project. As an integral part of most of the Collective’s groups, Frank worked closely with the other composers-in-residence, touring and recording with Ben Allison’s Medicine Wheel and Peace Pipe groups; Ted Nash’s Still Evolved Quintet and Double Quartet, Ron Horton’s Quartet and Septet, and Michael Blake’s Elevated Quartet, Free Association, and Eulipion Orchestra. Besides co-leading the Herbie Nichols Project with Ben Allison, he participated in other Collective endeavors focusing on the music of Andrew Hill, Lucky Thompson and Lennie Tristano; and he’s played on concerts and recordings by some of the Collective’s guest composers including Eddie Gale, Ed Neumeister and Jon Gordon. In 1995 Frank was awarded a Jazz Performance Fellowship by the National Endowment for the Arts for his work on Herbie Nichols’ music, which he'd begun in 1985. The Jazz Composers Collective's Herbie Nichols Project has toured the U.S., Canada, Brazil, France, Portugal, Netherlands, Azores, Belgium, Denmark, Sweden, and the UK, and its work has been documented on three critically acclaimed CDs for Soul Note and Palmetto. Kimbrough has written about Nichols' life and work for the New Grove Dictionary of Jazz, and with Ben Allison, contributed liner notes to The Complete Blue Note Recordings of Herbie Nichols. As a duet partner, he's been paired with Lee Konitz, Norma Winstone, Paul Bley, Joe Locke, Noah Preminger, Scott Robinson, and Ben Allison, among others. Kimbrough's duo performance with Paul Bley at New York City's Merkin Hall in May 2006 was cited by Time Out New York magazine as one of the Best Live Shows of 2006. Frank also enjoys work as a frequently sought-after sideman, and has performed or recorded with saxophonists Dewey Redman, Rick Margitza, Rich Perry, and Noah Preminger, trumpeter Dave Ballou, bassist Ron Brendle, drummer Tony Moreno, and vocalists Kendra Shank, Maryanne de Prophetis, Judi Silvano, Katie Bull, and others. He has played in Ryan Truesdell's Gil Evans Centennial Project since its inception in 2010. Maria Schneider invited Kimbrough to join her orchestra in 1993, just as she began her five-year Monday night residency at Visiones in Greenwich Village. Since then, Frank has performed with the MSO in the U.S., Macao, Japan, Brazil, Portugal, Germany, Austria, Spain, The Netherlands, Switzerland, Italy, France, the UK, Luxembourg, Poland and Finland. He is prominently featured on Schneider’s Grammy-winning CD Concert In The Garden , and contributed to four other albums: Coming About, Days Of Wine And Roses, Allegresse, and Sky Blue. He appears on Schneider's triple-Grammy winning Winter Morning Walks, with Dawn Upshaw, Scott Robinson, Jay Anderson, and the Australian Chamber Orchestra, and participated in tours of the piece in the US and Australia. He also played on Maria's recent collaboration with David Bowie, Sue (or in a season of crime). He also appears on the Maria Schneider Orchestra's Grammy winning The Thompson Fields which features Frank on the title track. Frank has made a name for himself as a supportive and inspiring educator. In 2008 he was appointed to the faculty at the Juilliard School, and served as interim chair of the Jazz Studies Program from January - June 2014. He is now back to his regular teaching schedule. He performed with the Juilliard Jazz Quartet from 2010 - 2014, playing original compositions by its members Ron Carter, Carl Allen and Ron Blake. From 1996 – 2001, he served on the faculty of New York University's Department of Performing Arts Professions. Residencies and workshops include the Juilliard School, Paris Conservatory (with Maria Schneider), Oxford University and The New School University (with the Jazz Composers Collective), Berklee College of Music, Oberlin College Conservatory of Music, Eastman School of Music (with Maria Schneider), Indiana State University, the University of Iowa, the University of North Florida, the University of North Carolina at Chapel Hill, Appalachian State University, the University of Minnesota, and Jazz@Lincoln Center Outreach Program (with Matt Wilson's Arts and Crafts). Frank has also served as an adjudicator for Chamber Music America's Doris Duke Jazz Ensembles Project, The Great American Jazz Piano Competition, The American Pianists Association's Cole Porter Fellowship Competition, and the Thelonious Monk Competition in composition. He contributed transcriptions and annotations for a recently released book of Andrew Hill's compositions, published by Hal Leonard.